Experience pure peace on the 220 Sundancer sport cruiser equipped for relaxation. Funny how we can work ourselves up chasing a moment of relaxation. But kicking back doesn’t have to be hard. All it really takes is a couple calls, a few friends, and the 280 Sundancer. 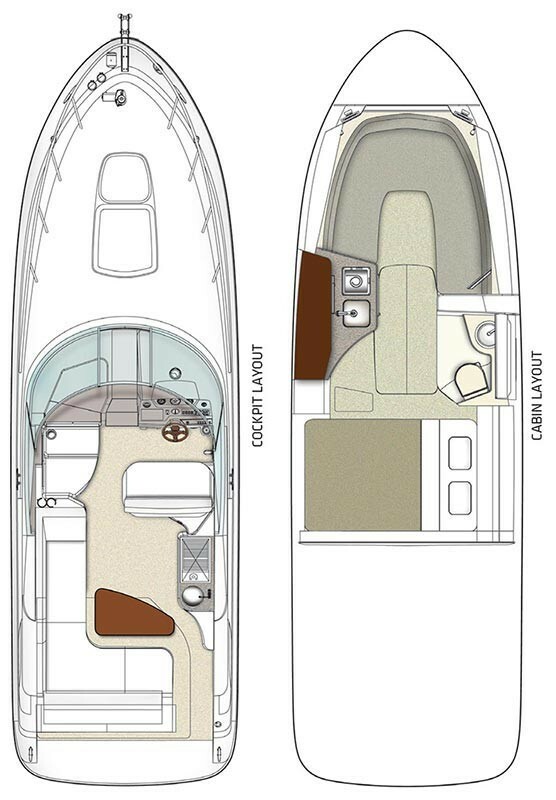 The convertible lounges, plush seats and comfortable berth transition social time to quiet time, so no matter where you are on the water, you’re in the right place and the right mindset. Each line on the 280 Sundancer contributes to ultimate performance. Sea Ray’s distinctive profile doesn’t just elevate the boat’s design, it enhances the ride. Extruded strakes grab the water for greater stability while the molded-hull shape is designed to maximize water contact for better maneuverability. The 280 Sundancer’s superior performance matches its great looks. From the curved portside L-shaped lounger to the large fold-down sunpad, everyone onboard the 280 Sundancer can spread out and soak up the sun. Nifty under seat storage stows away all your gear, and impressive capacity in the cabin provides comfortable overnighting for four. So go ahead, settle in and stretch out. You’ll be here for a while. Entertaining in the spacious cabin is as easy as hosting on deck. A convertible dinette crafted from solid teak sets the tone for an intimate dining experience. Memory-foam cushions with dedicated storage make overnight transitioning effortless.